That’s right! Another Week, Another Instalment of Shiny new products arriving in store! Another fantastic new release from WE, the new remodelled Samurai Edge Barry Burton V2 GBB Pistol! Another fantastic piece for you Biohazard/Resident Evil fans! Perfect for both Skirmishing and Zombie Slaying, this full metal replica from WE is based upon the original WE Barry Burton M9 released a few years ago, but has since undergone a few tweaks and upgrades! The new model features a larger and meaner looking compensator up front, with heightened Iron sights to boost. The underside of the pistol is also railed for the attachment of lights and lasers if required. It also features new mock wood grips with finger serrations which allow fantastic grip on the weapon. 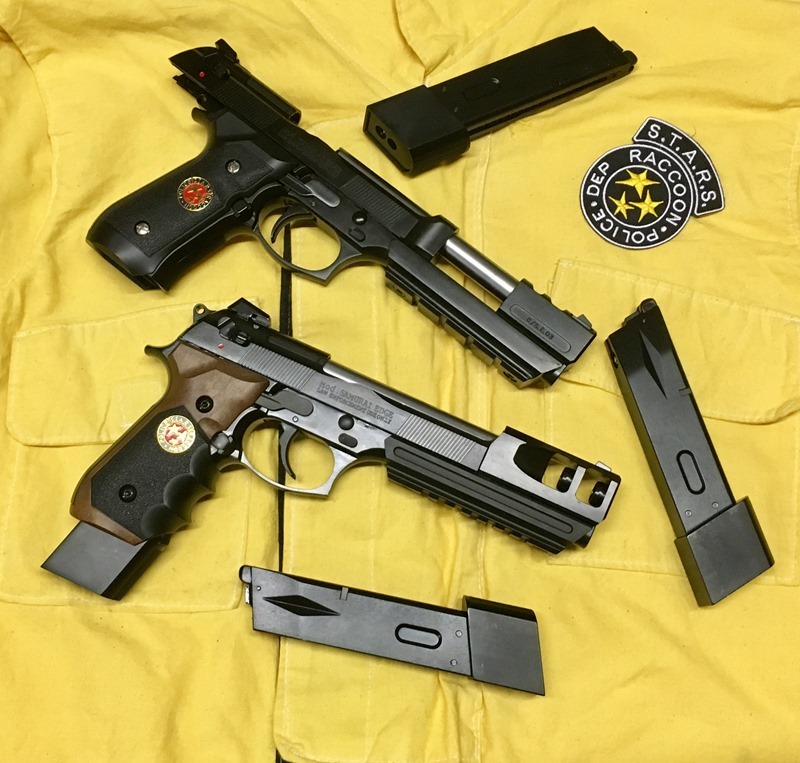 Based off of WE’s Gen 2 M92 system, this Pistol fires in both Semi, and Fully Automatic with a functioning Decocker when the weapon is placed in safe! A large and intimidation looking pistol! Perfect for those who like to show off on the field! 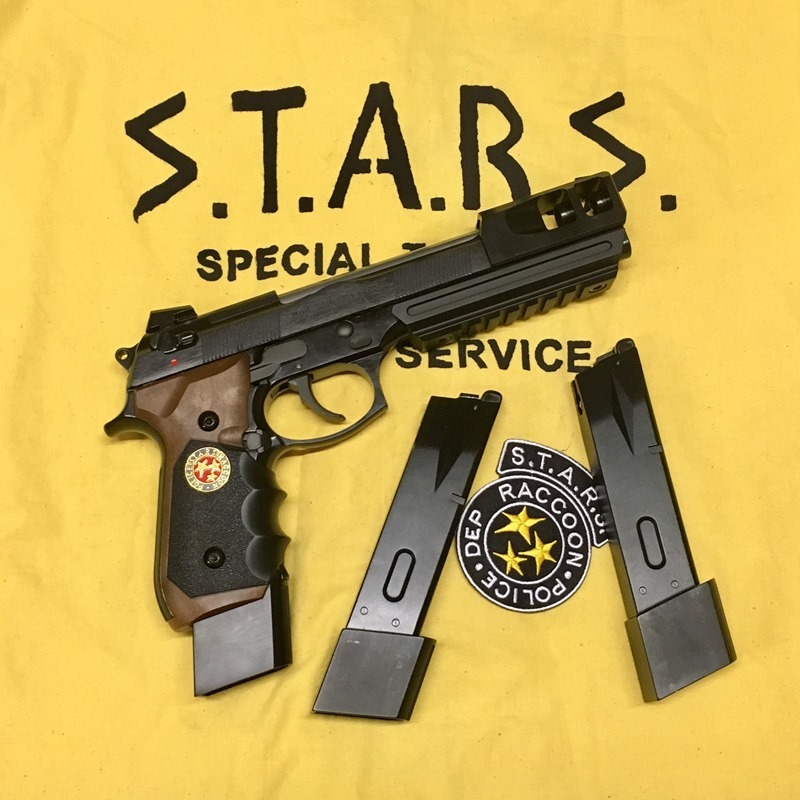 Alongside this pistol we are also still carrying the Standard WE M92 Barry Burton GBB pistol with the full black grips and the smaller compensator – This pistol fires in both Semi and Fully Automatic and comes with an extended 30rd Magazine to boot! 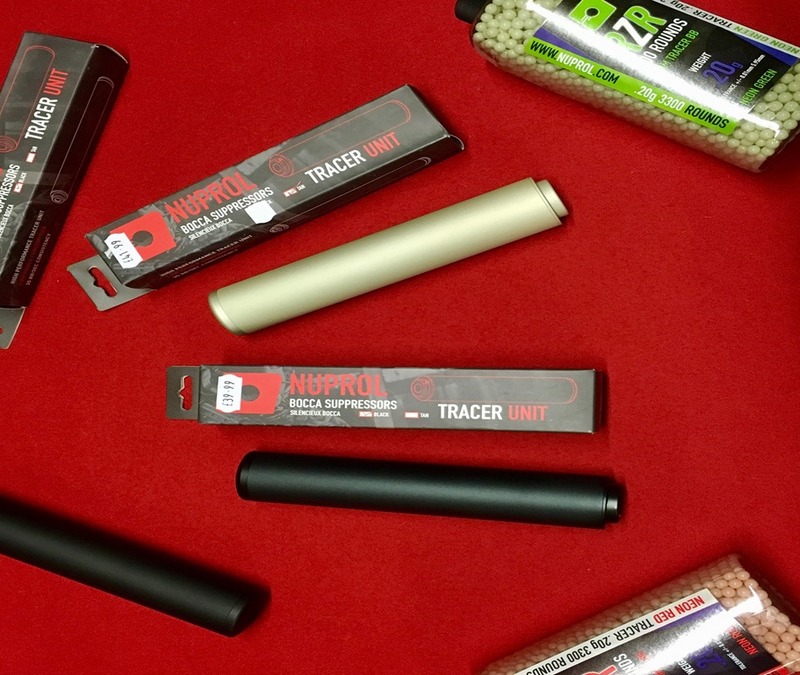 For those of you who enjoy tracer rounds we’ve got the new Nuprol BOCCA Tracer Units! Perfect for those dark areas! Based off of the standard Suppressor Style tracer unit, the Nuprol Tracer unit features a full metal construction, fits any standard 14mm barrel threads and is available in both Black and Tan. Powered by x3 AA Batteries, this unit gives off a powerful flash enabling Tracer Rounds to glow in the Dark! Allowing you to fire a hail of glowing plastic death for all to see! Maybe you have Zombie problems? Maybe you just need some Tracers to light up your Skirmishes? Check out both of these exciting products and more over on our website! www.a2supplies.co.uk or visit us in store!